I knew about Tybee Island Lighthouse but I didn’t know that there was a smaller lighthouse call Cockspur Island Lighthouse on the way to Tybee Island. 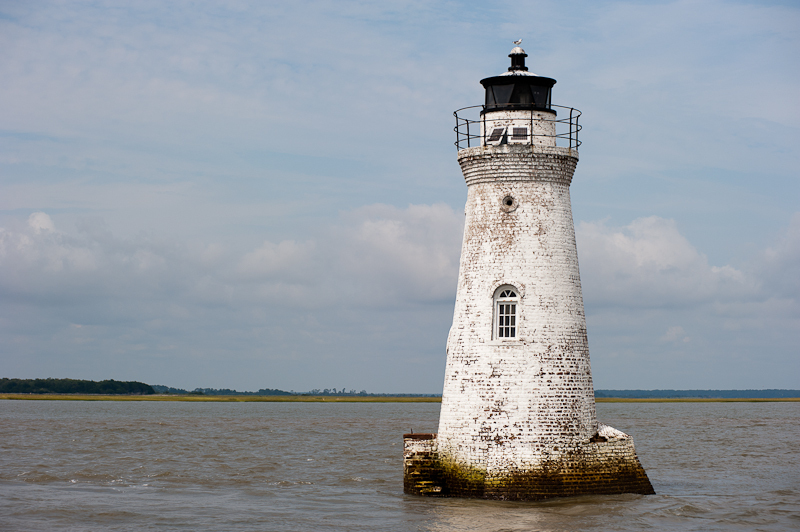 It was deactivated in 1909 as a navigational beacon but was relit in 2007 for historical purposes. It is open to the public if you can get to it.